Our 2017 EMEA PR Consultancies of the Year are the result of an exhaustive research process involving more than 200 submissions and face-to-face meetings with the best PR firms across Europe, the Middle East and Africa. Winners were unveiled at the EMEA SABRE Awards in London on 23 May. Analysis of all Finalists across 20 categories can be accessed via the navigation menu to the right or here. Globally and in the EMEA region, Weber Shandwick has been outperforming its publicly-traded peers for the past few years, and 2016 was another strong year, with revenues in the region up by close to 7% (on top of 11% growth the previous year). The firm is now doing $125 million in business across the EMEA region. New business in 2016 came from Bayer, Boehringer Ingelheim, British Gas, Ericsson, Forever 21, HSBC, MasterCard, Pearson, Philips, Qualcomm, UNICEF, Unilever, and Virgin Atlantic. The flagship UK operation turned in solid growth (falling just short of 10%); the Middle East and Africa both continued their impressive expansion; and six markets reported double-digit growth, including Spain, for the second consecutive year. The key to that success is that Weber Shandwick has been innovating faster and more aggressively than its competition. Its Creation unit, for example, has changed the game in terms of multimedia content and its acquisition of Sweden’s Prime gave it management consulting credentials as well as leading-edge creativity. The latest investment is the firm’s “engagement engine,” which brings together analytics, creative, strategy, production and integrated media capabilities to come up with big, insight-led ideas for top-tier clients. Globally, there is a case to be made that Burson-Marsteller has been slower than others to transform its operations and embrace the new digital and social world. But overall, the approach has been one of smart innovation: maintaining the strategic leadership that makes BM a trusted advisor to C-suite clients while building out digital and content-creation capabilities. And in the EMEA region, that approach is beginning to pay dividends. 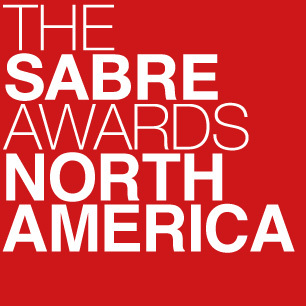 The firm maintains its involvement in some of critical issues of the time—helping the EU address the refugee crisis, providing Brexit counsel to clients in the UK and Europe, working with Saudi Arabia and other Middle Eastern countries on counter-terrorism efforts—while strengthening its reputation for creativity: its 15 EMEA region SABRE nominations were more than any other agency. The sweet spot appears to be the convergence of what used to be distinct corporate and consumer realms. So BM is helping clients deal with the consumer aspects of corporate reputation management (helping retailer Makro redefine its corporate purpose) and corporate social responsibility (working on global CSR strategy for Sanofi, continuing its responsible drinking campaign for Cerveceros de Espana), and helping companies (Merck, Microsoft, Qualcomm, Spotify) navigate public affairs challenges in the new age of populism. The firm also considers to be a go-to agency for crisis work, helping Kimberly-Clark develop global crisis strategy, and change management, from Scandic’s work around women in leadership positions to Unilever’s acquisition of Blue Air. Meanwhile, the firm has now established its StudioB creative hubs in the France, the Middle East, Norway in addition to the UK, where it originated. It handles data and research (often in partnership with sister company Penn Schoen Berland), storytelling, creative content, channel strategy, and engagement activity for clients such as AB Sugar, EA Sports, Homebase, Kitchen Aid, Microsoft, and Tenga. Highlights range from an ad campaign featuring footballers Marouane Fellaini and Anja Mittag showing support for refugees to a Ford’s You Tube-based “share the wheel” campaign challenging cultural norms in Nordic markets to a virtual reality campaign to raise the profile of Hydro’s renewable aluminium. FleishmanHillard is by no means the biggest PR network in EMEA, but agility can often count for more than scale in the region’s collection of troubled economies. Thus it now boasts depth in many of the markets that matter most — the UK, where the merger of Fleishman and Fishburn has created a £20m powerhouse that employs more than 200 people; the Middle East, where strength in Dubai and Saudi Arabia helped it land coveted assignments for Saudi Aramco and Gulf Marketing Group; Brussels, where it remains one of the leading public affairs players in the market; Germany, where Henning Kampe has transformed a business that is now growing rapidly; and South Africa, where Sharon Piehl oversees one of the continent’s biggest PR networks. Elsewhere, the firm has consolidated its operations with Omnicom siblings Ketchum and Porter-Novelli in Netherlands, France and Italy, ensuring it can focus on the markets where its growth prospects are already strong. Indeed, half of Fleishman’s EMEA offices submitted double-digit growth last year, including the UK, Germany, Italy, France, South Africa, the Middle East, Brussels and Netherlands. That is ahead of forecast, suggesting that a ‘federal’ leadership team with no regional CEO is capable of running the region well. There was significant new business from Western Union, Lidl, AT&T, Amazon, HTC and Saudi Aramco, along with particularly strong returns from the firm’s healthcare and creative strategy units. Both benefited from demand for more integrated work across corporate and consumer in multiple markets, bolstered by Fleishman’s Specialist content arm and by a dedicated digital content unit in Johannesburg. 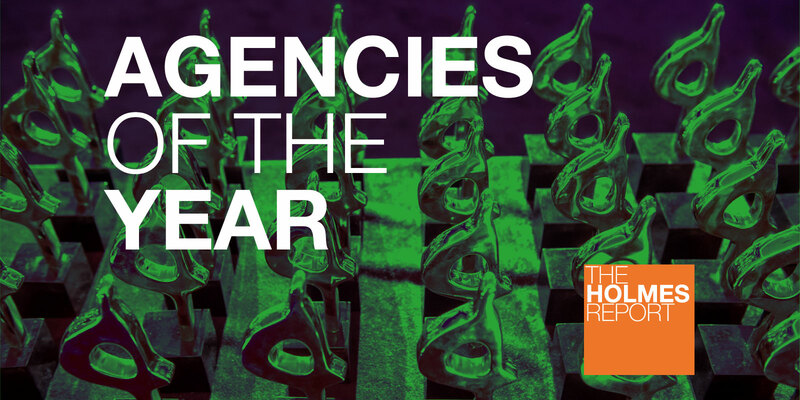 After demonstrating last year that one of the biggest PR networks in the region could function as more of a benefit than a burden, and winning Pan-EMEA Consultancy of the Year honours in the bargain, H+K Strategies submitted another impressive performance in 2016, with upper-single-digit growth and improved profit margin underscoring the sense of progress that has been ushered in under the auspices of regional CEO Lars-Erik Gronntun. While any firm with 40 operations across 35 markets (accounting for around $170m in revenue) will struggle to display uniform returns, H+K’s growth engines continued to propel expansion in 2016, entering on the UK (+17%), France (+15%), Germany (+20%), Iberia (+18%), Italy, Russia/CIS (+15%), Dubai (+30%) and South Africa (+20%). Many market leaders have turned over the past couple of years, with positive changes bringing much better performance in markets that, not so long ago, were stagnant. But Gronntun has not just been focused on growth. There has been considerable innovation, particularly in terms of the horizontality that H+K now brings to its key clients, which are now more likely to be serviced in multiple markets. The UK operation’s 3P methodology has been implemented in many of its EMEA markets and a much more substantial focus on learning and training has reaped dividends in H+K’s content, digital and creative capabilities across the region — illustrated best, perhaps, by the 12 SABRE nominations that the firm recently landed. Last year, there was major new business from Coca-Cola and EGA in the Middle East; Desigual and Aldi in Spain; NCR globally; the European Commission across the region; Embraer from Brazil and retaining Norad in Norway. The firm’s critical London operation submitted its own standout new business performance, while there was also expanded business from Nordstream, Statoil, Uber and Arla. In terms of capabilities, H+K continues to retain one of the strongest energy teams in the business ( with 60 people in the region working on blue-chip brands such as Shell and Statoil), and also possesses a broad portfolio of clients across FMCG, technology and healthcare, reflecting its status as perhaps the region’s biggest PR network. The Group SJR content unit has been present in EMEA since 2014, and now numbers 30 people in the UK along with growth plans for other European markets, thanks to growth and cutting-edge digital work for such clients as EY and Drax. MSL has been talking for years about the transition from a network of European holdings—different brands, acquired over two decades—into a single EMEA-wide business, but 2016 might be the year the agency finally came together, the stubbornly autonomous French headquarters office (with more than 160 people it’s also the largest office in the region) finally seeming to speak the same language, live the same values as the rest of the network. But it was a good year all around for MSL in Europe: growth was in the high single-digits, well ahead of the region as a whole, with London experiencing a strong recovery (up 20%) and Germany coming in at around the same level of growth. The firm maintained its leadership position in the Nordics (thanks to JKL), in Italy (where Daniela Colangelo was promoted to lead the integrated Publicis Groupe offer), and in Eastern Europe (especially Poland, where growth was around 10%). The Africa network continued to expand after the acquisition of Nigeria’s Quadrant. The organization feels refreshed, thanks to several new appointments: Peter Steere moved into a new role as EMEA chair, while Kinda Jackson was named head of digital for the UK. New additions to the team included Magnus Wistam as CEO of MSL in Sweden; Samantha Presbury as managing director in Johannesburg; and Amber O’Connor as lead on the P&G business across the region.